15-year-old Canadian motorcycle road racer Jonathan “Jonny” Finn is delighted to announce a new partnership with the UK’s number one motorcycle clothing brand RST-Moto. RST-Moto has come on board Jonathan’s program providing equipment support for his 2019 racing campaign in the ESBK Pre-Moto3 series including two race-ready suits, one practice suit as well as gloves and boots for the 2019 season. In his 9 years of racing, Joanthan has amassed 4 Canadian National Championships as well as multiple regional Championships in Mini Road Racing throughout Canada. He’s also experienced success racing abroad in the United States and Europe. The Bushell Park, Saskatchewan native competed in Spain this past season in the ESBK Pre-Moto3 series and was invited to the 2018 Red Bull MotoGP Rookies Cup Selection Event in Guadix, Spain. He races at various notable tracks including Jerez, Valencia and Motorland-Aragon. This series is a steppingstone to the CEV Moto3 Junior World Championship. Jonathan’s goal is to represent Canada & North America at the international level to the best of his abilities. 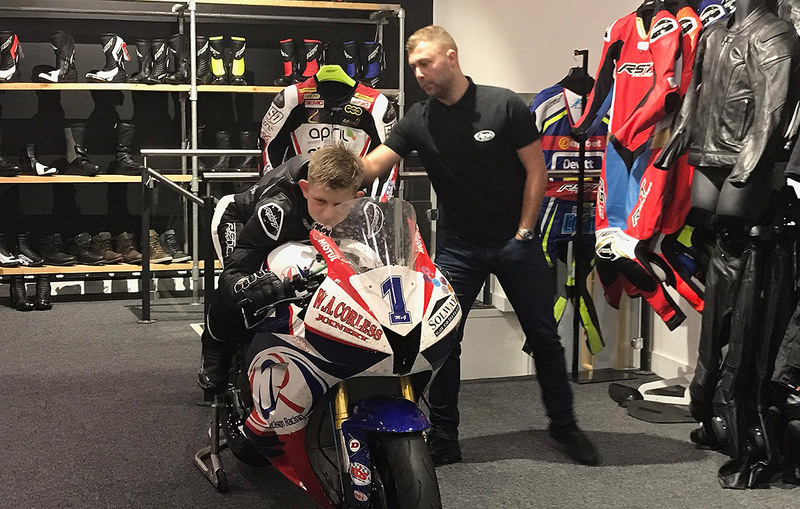 On January 3rd Joanthan traveled to the RST-Moto headquarters in South Normanton, UK where he was given a tour the RST-Moto facility before being fitted for his V4 RST-Moto racing leathers. “I am really grateful and excited to have the support of RST-Moto for the 2019 season. It really helps me feel confident as a rider to have that direct contact and interaction with the people who are going to be making my suits.” said Jonathan. Additional news about Jonathan’s 2019 plans and sponsors will be announced in the coming weeks.